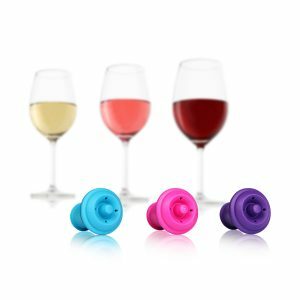 The Wine Saver Concerto is a vacuum pump, which extracts the air from the opened bottle and re-seals it with a reusable rubber stopper. 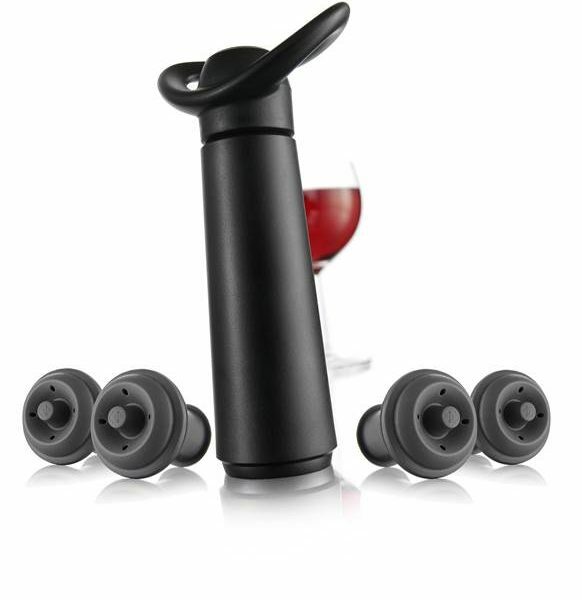 Place the re-usable stopper in the bottle and extract the air from the bottle using the Wine Saver pump. A “click” sound tells you when you have reached the optimum vacuum level. The vacuum slows down the oxidation process which makes it possible to enjoy your wine again at a later date. The question “how often do I have to pump?” is a thing of the past. 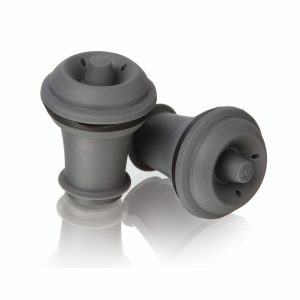 The unique and patented vacuum indicator will emit a “click” sound when the correct vacuum is reached. SKU: 8714793098749. 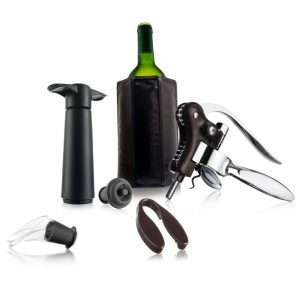 Categories: OTHER ACCESSORIES, VACUUM STOPPERS AND SAVERS.